With its flashing lights and minimalist styling, a controller like the Pioneer DDJ-ERGO-V may not look like it belongs in a DJ booth, but like all digital gear, you still need to know how to DJ in order to perform well on it. 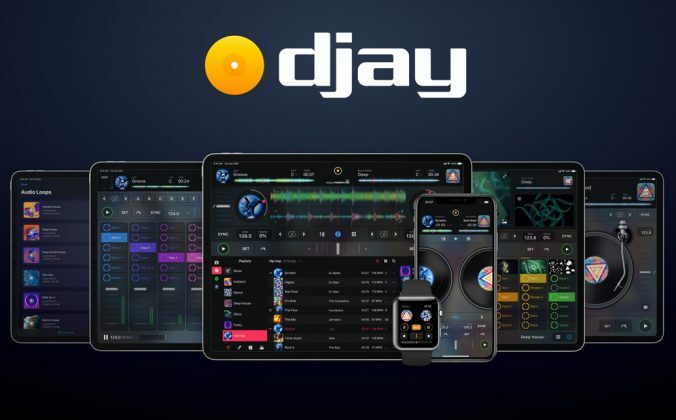 As I’m sure you’ve seen, eyes raise and questions arise when non-DJs, club promoters or even non-digital DJs see you with your digital DJ controller. 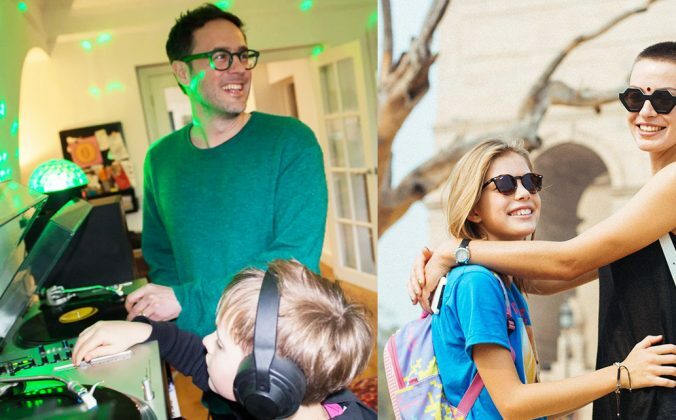 When you respond to their questions with, “I prefer DJing with controllers and laptops,” minds can boggle and mouths gape as the questioners stumbles to grasp the notion of someone who doesn’t use “real” gear. Eventually though, they fire off responses, challenges and proclamations. This isn’t right, it’s not DJing, anyone can be a DJ nowadays, there’s no skill in it, you’re taking “our” jobs, you’re cheating. Of course, not all people are personally offended by digital DJing; some are just curious and a bit unbelieving as to what’s possible nowadays. It can hurt a little, this one. 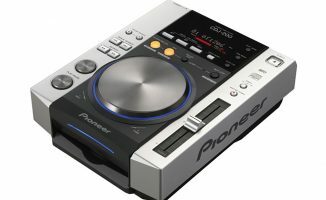 After all, much DJ gear looks like “real” gear, only smaller. Tiny jogwheels add to the impression (“Aren’t they cute?”) of toy-dom. It doesn’t help the cause when certain gear has lots of flashing lights, and is made of the same plastic as games consoles and other consumer gear. 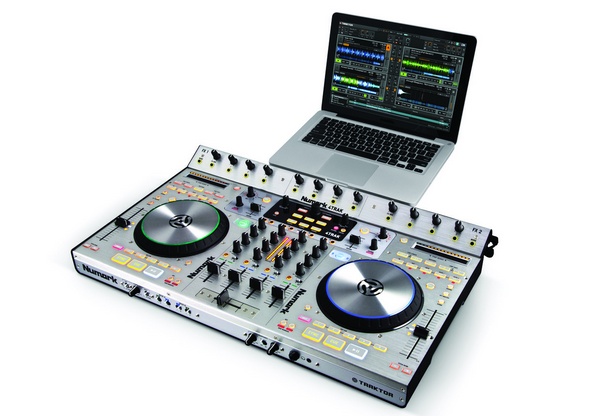 Numark’s big, metal 4Trak, with its angled filter and effects panel and four-channel mixer, is far from a toy, more like a central workstation for a full-on DJ/studio set-up. You can avoid this by choosing carefully in the first place. Nobody could accuse the larger-form DJ controllers like the Numark NS6 or the Pioneer DDJ-T1 and Pioneer DDJ-S1 of being toy-like; in these cases, the Numarks are big and heavy, the Pioneers are plastic but at least look like “real” DJ gear. Likewise, Traktor gear like the Kontrol S4 looks kind of professional, with its sober styling and jogs relegated to the back of the units. Choose what suits you. Let’s be honest, though, much DJ gear – even the good stuff – does look like home versions of the “real thing”. And to an extent, it is. The fact is, though, playing with it most definitely isn’t like playing with a toy. 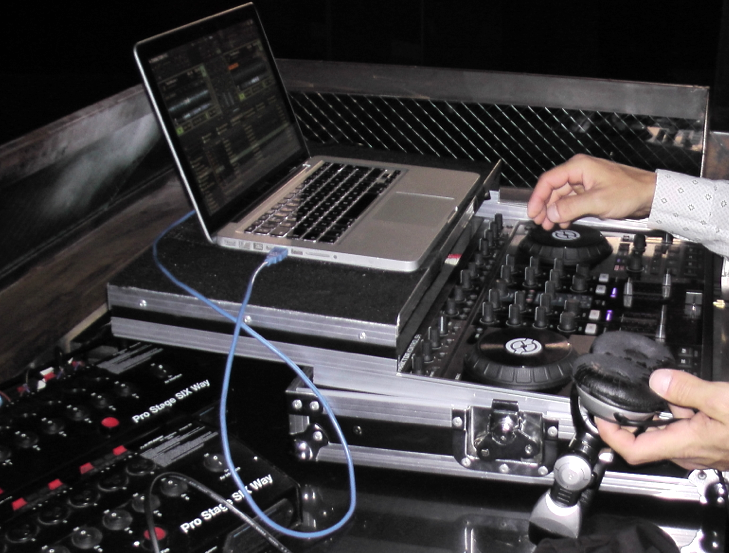 The basic skills of DJing remain the same whether you’re using a €99 Hercules DJControl Instinct or a full-blown Pioneer DJM-2000s-plus-club-mixer set-up. 2. I don’t understand! Where’s it playing the music from? 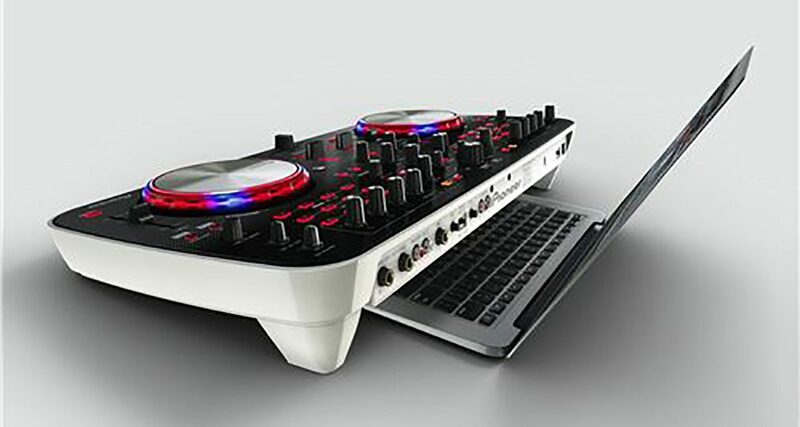 Initially it’s sometimes hard for people to work out what exactly is happening with a DJ controller and laptop. They think the “music” is in the “box” – that it’s like a big iPod with controls on it. You can’t blame them – that kind of gear does, after all, exist (think Stanton SCS.4DJ). 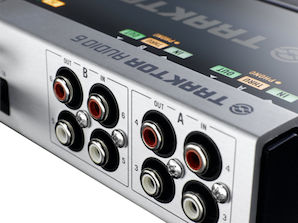 Especially when you start including audio interfaces in your set-up, it becomes hard for outsiders and beginners alike to really understand how the music is routed through your system, and where it ultimately ‘comes’ from. If they get their heads around the fact that the controller is “controlling” the software on the computer, their next misunderstanding is often thinking that the audio that started as a file on the computer actually also comes from the computer, rather than from the controller (or from your audio interface). If you’re using a digital vinyl system (such as the Rane/Serato SL2), it’s often game over for trying to explain what they hell’s going on to someone who’s never seen such a set-up before! 3. Digital DJing is cheating isn’t it? Doesn’t the computer do all the work for you? You can’t really blame people for thinking this. After all, in many bars and even some clubs (Latin clubs round where I live do this a lot), there is indeed an automated playlist that just churns through the tunes one by one without anyone being there to do the actual DJing. 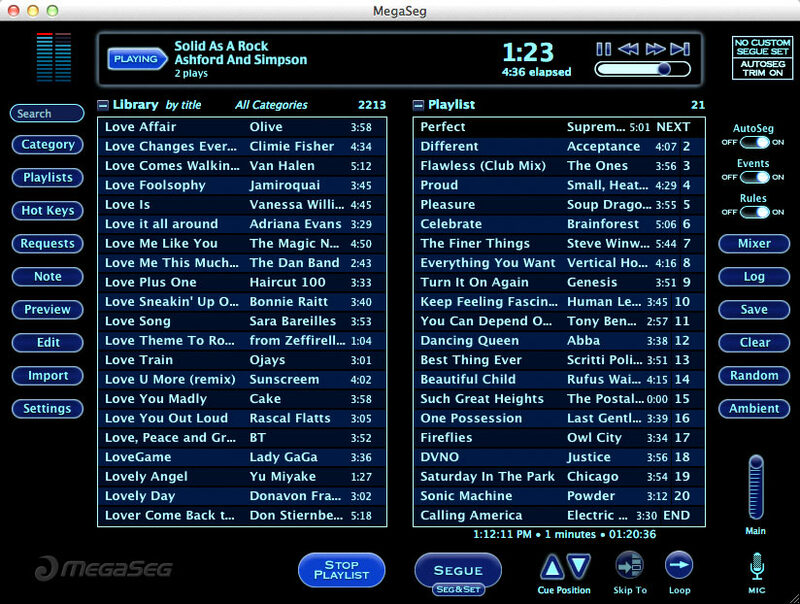 Some music software, such as MegaSeg (shown here), is designed to allow hotels, bars, and so on to automate their music. No surprise that many people think that’s what we’re primarily using our laptops for, then. And while there are those who know full well what the computer can and can’t do, and who are just trying to bait you with this question, it’s always best not to rise to the bait. Let me tell you a story. When I DJed with vinyl, I spent most of my time looking for the perfect next tune to play. While I was quite capable of pulling tricks with the decks when I wanted to, my workflow more usually consisted of dancing around in my DJ box to get into the vibe, and thinking hard about the exact perfect record I wanted to hear next. Often, I’d decide with 30 seconds to spare, and it was only my years of experience that ensured I could get it cued up and mixed in without anyone noticing. Job done. As I say, it took me many years to get that proficient. Thanks to digital, though, all that’s changed for the better. Now, you can 1. Browse your music far more efficiently than I ever could. 2. Have more of it with you than I could ever carry, and 3. Quickly mix from one tune to the next far more easily, without making a fool of yourself. That means that nowadays, if you have great taste (really important), and you can work out what to play next (just as important), digital makes the technicalities far easier or you. What’s wrong with that? How much of all of that is the computer doing for you? Very little. Is it cheating? I don’t think so. It’s giving you the best tools that are available to do the job you’ve turned up to do. This one actually really upsets me, because it tries to do two things that are harmful. Firstly, it discourages people with a passion for music from having a go at DJing. Secondly, it makes out that DJing is something elitist, that only a hallowed few have the right to participate in it. The first is mean-spirited, the second just plain wrong. 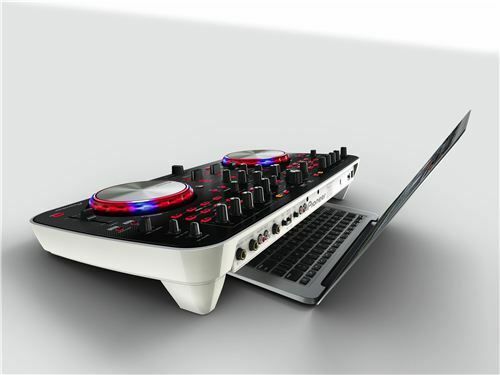 True, “everyone” can be a DJ if they have a couple of hundred dollars to get some basic gear to add to their laptop. But the investment of time, money and effort needed to begin to get good at DJing is considerable. For example, here’s an excerpt from the Digital DJ Tips beginners’ crash course in DJing. Do you think you could really find the time to properly follow a course like this unless you were genuinely committed to becoming a good DJ? 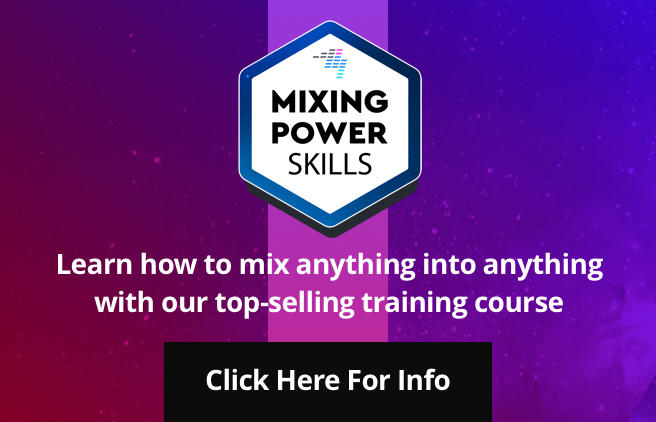 While the course – called How to Digital DJ Fast, by the way – has been proven to get you good enough to play in front of an audience after just one month (here’s some testimonials), it’s going to be a pretty intensive month! Plus this only gives you the launchpad (a gig under your belt, which is more than most bedroom DJs ever achieve) to then start your real learning about DJing. I’ve been DJing for 20 years and I still learn new stuff all the time. Secondly, DJing is more skill than talent. Yup, you need to love your music, and yes, you need to be fascinated by dancefloors and dance culture, but once you’ve got yourself in that ballpark, it’s practise, practise, practise. So yeah, everyone can read a quickstart and get some music coming out of the speakers, but that doesn’t make you a DJ. Plus, the more people who try it, the more great DJs will bubble to the top. To be completely honest, there are two answers to this question, and it depends on the type of DJing you do. If you consider yourself a “controllerist”, pushing the boundaries of performance and using loops, effects, samples, live remixing and so on, then you simply can’t do a lot of that stuff with a couple of CDJs or two turntables and a mixer. But if you’re more a selector-style of DJ, mixing, you know, tunes one after the other, there’s actually not much reason why you couldn’t use the gear that’s already at a venue you’re DJing at. You’ll need your music on CD or USB, sure (or to play it through a digital vinyl system, of course), but ultimately the only thing stopping you doing so would be an an inability to use club gear, due to having never learned. Setting up in a ‘real’ DJ booth with your digital gear may seem a bind, but it will let you DJ the way you’re used to (this is me DJing in London’s Ministry of Sound last weekend). In this second case, you can see how people may conclude you’re not a “real” DJ. You can’t play “back to back” on standard gear with other DJs, and you can’t do a quick set on what’s in front of you without setting up your fiddly controller and so on. Ultimately this one is your call. 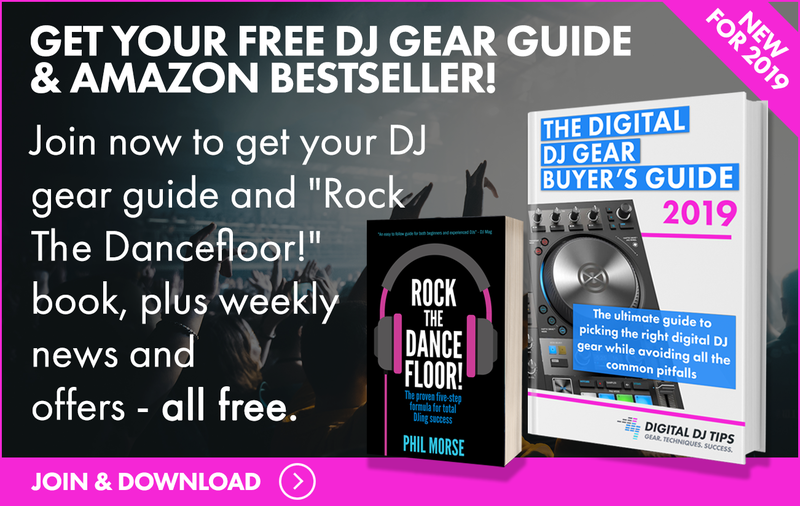 If you want to learn how to use “real” DJ gear, it’s definitely worth doing and will make you a more rounded DJ, but there are hurdles (real manual beatmatching being the main one), and you may find it’s not so much fun as using a controller. But while things are changing, the truth is that even today, most top DJs are still using CDJs in clubs, not all-in-one DJ controllers. If you want to be one, you’ll probably need to learn at some point. In my experience, this is the kind of comment that you get from older DJs whose gigs frankly would have dried up anyway, no matter what the DJs coming up behind them were using as gear. As our writer Dennis Parrott said in his 5 Things I Wish I’d Known About DJing At 18, you need to treat yourself as a business. If your product’s not selling, it’s time to repackage. If you’re not fulfilling a need, you’re destined to become irrelevant. If you can’t play minimal tech house to packed-out venues any more, work out why and go where the demand is! And if the demand for what you want to do in your heart isn’t there any more, then you can hardly blame digital DJs for that. Where there is a point to be made is in people pirating music and software and literally performing for nothing because they can. These people who don’t pay for things, and who then go on to play in respectable venues in places where legitimate DJs also play? Well, they really have no leg to stand on. But that’s not you, is it? Whenever you deviate from the norm, people are going to ask questions and try to challenge you – especially if they have vested interests. That’s fine and totally understandable. Remember – there was a time when the idea of digital DJing was new and maybe even a little crazy to you, too! We are different. And people are going to react. They’re going to be defensive, inquisitive, accusatory, or all of the above. So try not to go on the defensive yourself. Try to maintain composure. This is a time to educate, and perhaps even inspire. Use it! I know I didn’t cover everything. I must have missed more than a few. So, readers, tell me: what else do people say when they first see your digital DJ gear, and how do you react? Controllerism is the future, either move-on or be left-out. Our children no longer knows what a record or a tape is, some are even clueless what CDs are. When their time comes, there won’t be CDJs or Vinyl anymore. While history is important, change is just as equally important. No matter what equipment or medium you are using, not matter if you aren’t good at any technique, what’s important is the culture and the music. Play the right tunes at the right time and make the people enjoy. That’s what DJing is all about. Agreed for the most part. I still think that vinyl will have a niche. There are tricks you can only pull off with traditional turntables in addition to them having a unique sound. Sure, it’s not DJing, but artists like Burial and Pretty Lights have carved out a place for themselves even though everything is going Bass Music. “Sync Button DJ’s” i’m guilty of using this one. 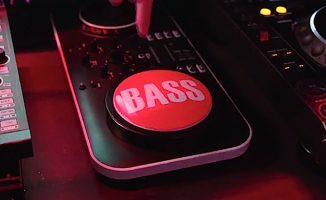 there are thousands of DJ’s who use the sync button and mix in a song without having a clue about where they are in the song (intro, verse, chorus, breakdown, etc). even in vinyl only days, i used to trash on DJ’s who would prematurely cut off a verses or choruses in songs just to successfully mix in the next song. Adtional response: It´s like any new technology, when it arrives, everybody seems to perceive the “new” as the “fake” or the “cheat”, try to tell the people a little of history, i.e when the CDJ´s went out, surely all the vinyl guys took the same approach to the “cd guys” they surely have told them “you know,cd-djing is cheating, is not the real thing” So take them down gently by telling that they are just witnessing another evolutionary change, and generaly ,someone whom refuses or resists the change is the wrong-o-guy , not meee! You’re right, they did! And you know what? I’ve got a pair of Denon DJ SC3900s here to review right now- they are like record decks, CDJs and DJ controllers all rolled into one. And guess what? I absolutely freakin’ love them! I doubt I’d have seen the genius in these particular products had I not been open-minded to CDJs, vinyl and controllers through my time as a DJ. I’m curious how you work with the crowd in your Ableton sets. I’ve found that Ableton Live is very powerful, but not as flexible as I want regarding an interactive set. I just want your opinion. I have “tons” of track in My Ableton Live set, that’s how I deal with the crowd. But the thing is that I’m doing “less” Discount DJ Sets now, and mixing only in “special” events. I’m not DJing “generalist” clubs anymore. So I can play, in 90%, In front of a crowd that already know what style will happen. And If the next track is killing the ambiance, it’s really easy to switch with ableton. Apart from the fact that we are completely against torrenting software (or music, or anything really), the underlying point you make is something we are nodding vigorously in agreement with. 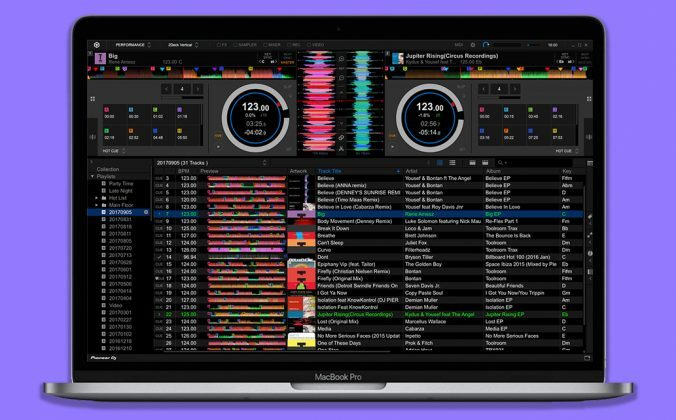 It’s worth pointing out that for those who want to try digital DJing completely free, you can get Virtual DJ Home as linked to in the article above, perfectly legally, and give it a go with just a laptop – no controller necessary. Well, I really don’t want to give a comment about the guy’s procedure… But I wanna to say that just using software it’s not djing for me. I started in the earl 90’s with vinyl, today I just do it for fun and currently using a controller. I said above “today I just do it for fun”, but I need to “see” the transitions, the beatmatches , the FX’s… the pitch… the knobs, etc, etc. in my hands. I Love your “bad FisherPrice emulation of a turntable” definition. I also hold hard to the “99.9 % of all todays edm’s are made electronically not a ‘real’ musical instrument in site.” statement. Heard enough guys complain how MP3s never have the “warmth” vinyl has…but they fail to realize that there’s been many vinyls pressed from WAV and MP3 files. The “warmth” might have been there when music was recorded live in sound booths onto analog recorders, but it’s all been digital for a very long time. I tend to think that having a tune pressed to vinyl (even from WAV) colours the sound, hence people hear a warmth. The argument over which sounds “better” is completely subjective. WAV files probably have a higher quality compared to vinyl i.e no hiss, crackles or pops and is more accurate, but i’m a firm believer that vinyl sounds better, not higher quality, I just like the sound more and i’m sure some people like WAV and MP3 more. Haha I think you’ll find 100% of all edm ever created was made electronically, hence the name electronic dance music! Personally I think that statement is completely backwards. CDJ’s are certainly more difficult to use than digital and vinyl is harder still imo, of course it all comes down to the indiviual though..
Just to pick up on something else from the article in point 5 – I have played b2b many many times using Ableton and beat matching to another DJ who was using vinyl or CDJs, it’s never been a problem! I’m a beginner DJ and a controller was really the only option available to me. At my age (17) I can’t afford to buy CDJ’s or vinyl. Plus, the portability and the controllerism aspect really applies to me. Great answers Phil. 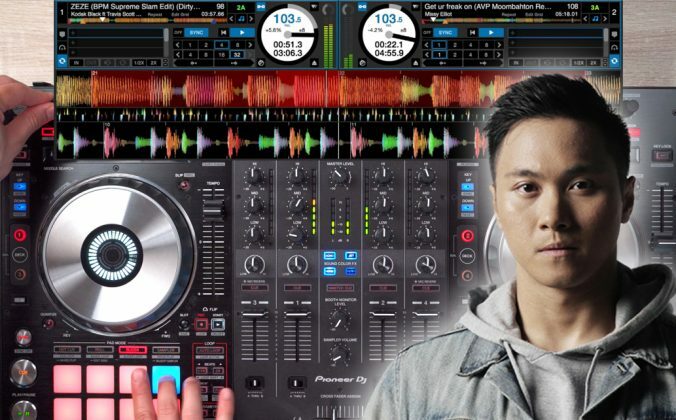 It would really help a lot of controller DJs who have skills. I think we are starting a revolution here. Digital DJs are more cohesive than the elitists. I’m finding peoples reactions are starting to change to wards digital jockeys. A lot less negativity and more curiosity and interest. Other DJs who aren’t familiar with the equipment are always asking me about how it works and to show me the ‘cool extra things’ it can do. Most of them are blown away with the results from relatively simple things like loops and some chaining of effects. When they see the more controllerism side of things, I think most people will do a total 180 from their previous ideas on digital gear. My F1 is already proving very popular! I tend to find people are more curious than aggressive. It’s not the public but other DJs who tend to be aggressive or negative, which is sad. Last week, I packed up my S4 after DJing a friend’s party. I thought I was pretty slick, putting it into the NI custom bag. Spot on article mate! I’m glad you finally had the courage to tackle such a highly debated yet rarely talked about subject. I’m really excited to see that someone is willing to speak about the digital debate, especially since it is often overlooked. Are you serious???? You can justify just about everything with that bullsh*t.. The good old “If I don’t do it, someone else will” is by far the most stupid argument ever to be used in any kind of discussion. 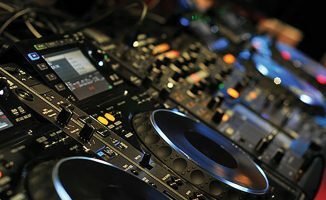 If you think about it you will find that the cost for equipment and music are largely non-material when it comes to making a living out of djing. The only thing important in that regard is your NETincome. As all costs connected to your DJ job are tax deductible it doesn’t matter how much you pay for equipment/music as higher expenses also means you have a higher reduction of your tax payload, so what’s left in your pocket at the end of the day should be roughly the same…. It’s a good point, although you have to question the quality of booking agents and venues where they judge who to book by whether that person costs $100, $200 or $500, when a night’s profits for a music policy that works can easily be multiple times that. To be honest, I think we’re totally in agreement here. I can never blame DJs for taking the gigs though, it’s unfortunately supply/demand – which is probably how I should have worded it in the first place. Thanks for your detailed feedback. “I believe a real dj should be able to walk into any venue, pick up whats setup there and still be able to reasonably rock with it.” – agree more and more with this. My Native S2 is my DJing “toy”.. Just like the Audi A3 is the “toy” I baought 6 months ago… Endless people will give me their opinions on new toys (good and bad)… All part of life really. “toy” isn’t necessarily a negative connotation is what I was getting at I guess. It’s not a bad idea actually, been thinking about Google+ recently. Not sure how we’d do it though – a Q&A or something like that? If someone ask me about why I am using a controller, I will ask what they do for a living….. carpenter? Why do you use nail guns and lazer levels? Secretary? Why not use a typewriter? Dr? Where are your leeches? Housecalls? Times change, tools change. 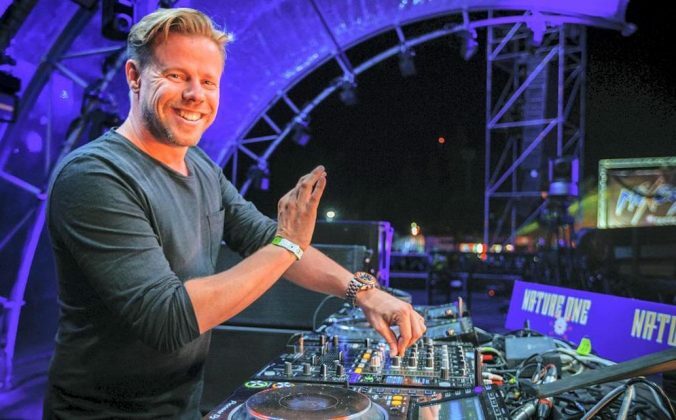 If I’m at a gig, I turn the tables on them… literally! 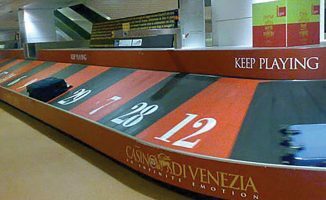 Scratch something, do a backspin, let them see that the jog wheels actually do something, just because they don’t spin, they don’t see the controller as a valid tool to get the job done.